The German field hospital in the North of Afghanistan serves for the emergency care of ISAF members, the International Security Assistance Force in Afghanistan. Furthermore, German nationals and staff of all relief organisations are medically treated as well as Afghan workers and Afghan nationals within the limits of capacity. In case of need, quick medical help is ensured. 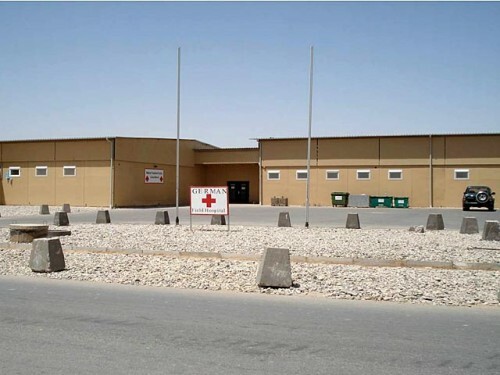 The hospital is unique in Afghanistan and offers medical equipment according to the standard of a German district hospital. Two operation rooms, one intensive care unit and a nursing station with 35 beds are available, various medical specialist ambulances, one pharmacy, laboratories, offices for the hospital direction and accommodation units for the hospital staff.